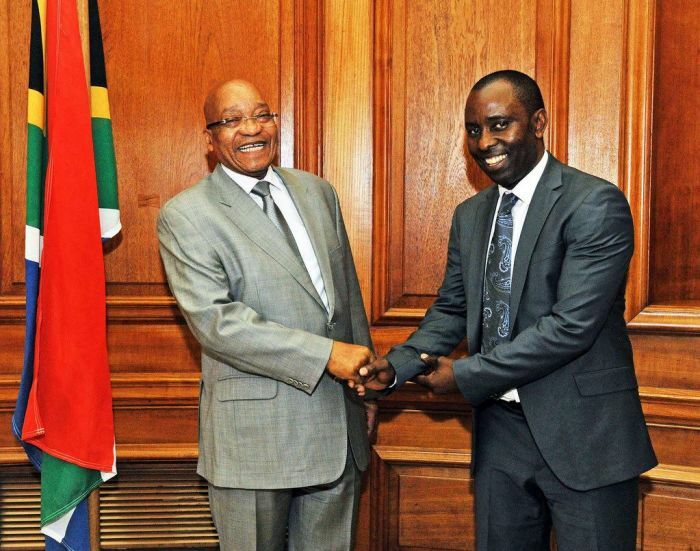 Picture from 2015 of President Jacob Zuma appointing Mosebenzi Zwane as Mineral Resources Minister in a late-night cabinet reshuffle. South Africa’s largest banks have testified at the State Capture Inquiry. Standard Bank representative Ian Sinton has implicated former Mineral Resources Minister Mosebenzi Zwane and Labour Minister Mildred Oliphant who, according to his testimony, tried to get the bank to reverse its decision to close the Guptas’ accounts. FNB and Absa questioned the Government’s apparent “interference” in their decision to close the accounts of all Gupta-linked companies. Nedbank CEO Mike Brown has told the state capture inquiry he felt threatened by the then Mineral Resources Minister Mosebenzi Zwane when he attended an inter-ministerial committee meeting to discuss the closure of Gupta-linked accounts. Brown testified that Zwane threatened that something would happen to the bank’s licence if it did not reverse its decision to close the Gupta accounts. Zwane also suggested that Nedbank become the primary banker for the Guptas, a suggestion Brown shot down. The Money Show’s Bruce Whitfield interviewed Mahlatsi Mahlase of the South African National Editors Forum (Sanef). Mahlase discussed the five most important aspects of the banks’ testimony at the State Capture Inquiry. To have the governing party [ANC] and Cabinet decide to intervene shows the power they [Guptas] did have. Did nobody else oppose… did others actually object to this?